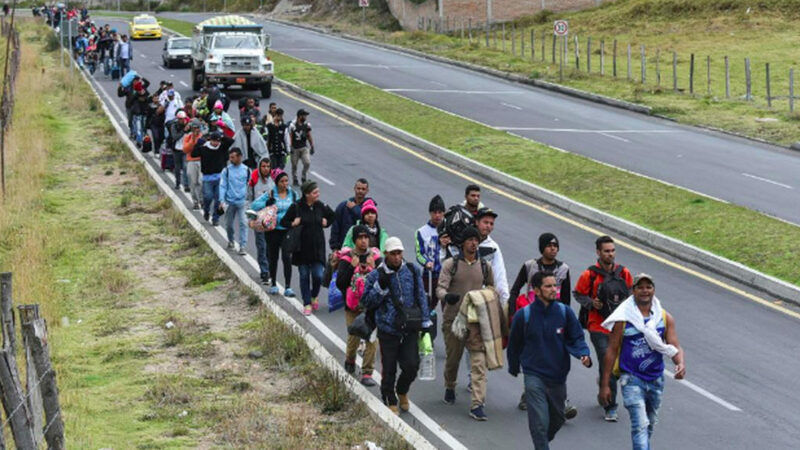 The governments of Colombia, Ecuador and Peru are holding an emergency meeting this week to discuss how to manage the steady flow of immigrants from Venezuela into their countries. For over a year now, migration from Venezuela to neighboring countries has been on the rise. Estimates of the numbers of Venezuelans leaving their country because of the economic crisis that they face have ranged from one million to as much as three million people in the past two or three years. Also, migration has sparked a strong reaction, some might say a xenophobic reaction, in some countries. For example in Brazil, the border town of Pacaraima, local residents attacked camps of Venezuelans and burned down their tents and their belongings. The UN High Commissioner for Refugees issued a statement warning against such attacks. FILIPPO GRANDI: There were some deplorable images coming out of the region last week, and obviously we call for respect of refugees and people on the move in Latin America. We are concerned about these recent events and the demonstrations against refugees, asylum seekers and migrants in some of the Latin American countries. Those increased stigmatisation of those who are forced to flee, they put at risk also the efforts for their integration. Solidarity is actually the key here, solidarity of the countries in the region and its citizens towards those displaced populations. MARC STEINER: Joining me now to analyze the situation of Venezuelan migration in Latin America is our own Greg Wilpert. Greg is the author of Changing Venezuela by Taking Power and is the co-founder of the website, VenezuelAnalysis.com. Here’s my conversation with great Wilpert. All right, Greg. Good to have you with us. I’m glad we’re doing this. I’ve never done this with you before, so this is going to be exciting. Let me just back up here after the intro, and I really want to explore for our viewers the underpinning of this migration. We’ve seen numbers that go anywhere from six hundred and fifty thousand to two million Venezuelans shimmy across the border in Colombia, which is real, that part’s real. But what is the reality? I mean, what do we know and what’s real and what’s myth? GREG WILPERT: Yes, one of the big issues is that I think that the numbers tend to be all over the place, as you mentioned. So, for example, the United Nations has an index of migration where they estimate how many migrants are living abroad from all the different countries. And as of last year, it was approximately six hundred and fifty thousand Venezuelans living outside of their home country. There’s reason to believe that that has doubled since that survey was taken. So, it could very well be that- and this is corroborated by the numbers of people entering into the different countries, that is obviously Colombia, Brazil, Ecuador, Peru, et cetera, they keep track of how many people are entering from Venezuela into their country. And if you look at those numbers, but you also have to pay attention to how many are leaving. Because many journalists have this tendency sometimes to just look at how many are entering Colombia but not how many Venezuelans are leaving Colombia. Same thing with Ecuador or Peru. And so, if you look at all those numbers my estimate is, and according to the most authoritative figures I’ve seen, is that roughly one and a half million Venezuelans have left in the last three years, approximately. That is still a substantial number but it’s not the two to three million that is often mentioned. 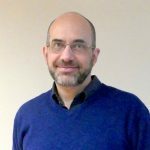 MARC STEINER: Well, one of the things we’re seeing is that a lot of the press, whether it’s Reuters or BBC, Guardian, whoever’s covering, all the people covering this, are all saying this is a crisis, this is mounting and building, likening it to the crisis of migration, emigration into Europe from Arab nations and from the continent of Africa. But the way you’re describing it, it sounds like it’s not quite that bad. But that’s clearly how they’re making it sound, and the Andean nations and others are calling for a major summit meeting in September. So, there’s a real mixed message about what the reality is. GREG WILPERT: Yes, I mean in terms of the numbers, I mean certainly it’s not reached the extremqe levels that migrants or refugees, really- I mean, I think one needs to distinguish, also. Obviously, the people who are leaving Afghanistan or Syria or Iraq, they’re leaving because of war and economic conditions, whereas in Venezuela it’s clearly an economic crisis that has caused this. So, that’s the first main difference to keep in mind when looking at why so many people are leaving. So, that’s a major difference. But the other is, of course, the numbers. And we’re not seeing the same numbers. We’re talking- I don’t know exactly what the latest figures are, but they are far more coming from the Middle East to Europe than there are Venezuelans who are leaving to the rest of Latin America. But it’s still a serious situation and it’s certainly creating pressure on the governments of Colombia, Peru, Brazil, Ecuador in terms of absorbing this large population. Because these countries, except for Colombia, are generally not used to this kind of migration. Colombia I’m saying as an exception because they’ve dealt with a sixty year civil war where there’s been enormous internal displacement and also migration outside of the country. MARC STEINER: I mean, millions of people are displaced inside of Colombia because of the civil war in Colombia. So, when you read those numbers they can look even larger because the numbers of people internally who are refugees inside their own nation. But let me jump into this with the question of why this migration? I’ve read accounts from people who have been on the border between Colombia and Venezuela. And mind you, they’re writing for The New York Times or are writing for The Washington Post or they’re writing for the Telegraph of London. But they’re all saying similar things, that there are massive people fleeing because of economic dislocation, because of hyperinflation, not enough food to eat, can’t buy chickens, and some making the argument, as well, that people are leaving for political reasons. I mean, how do you parse that out? GREG WILPERT: Well, certainly all of those things are a factor. And the biggest is, of course, the lack of economic opportunity because of the hyperinflation which has really brought the economy to a grinding halt. Because under conditions of hyperinflation, it’s very difficult to run a business, actually it’s practically impossible to really run a business and to do business as usual. So, I would say the main factor has really been the hyperinflation, which is why since the hyperinflation began roughly a year ago, maybe a little bit less than a year ago, the migration has really kicked into high gear since that started. And of course, it started before that. And another factor that is perhaps not mentioned as often, but I see many people mentioning as a factor, is of course the high crime rate in Venezuela. Venezuela is in a condition where the economic situation gets worse, it’s well known that crime goes up as well. And then we need to look at and go further back, I think, as also to look at, well what is causing the economic crisis? Which is of course something we’ve talked about in other programs on The Real News. But I just want to quickly mention, I see there’s two main factors, which is very simplistic. But one is certainly mistakes of the Maduro government which should have adjusted the exchange rate and it didn’t do that. It has this fixed exchange rate which is causing all kinds of economic distortions and has caused a general loss of confidence in the currency which led to the hyperinflation. But the other major factor, I think, that has led to hyperinflation are the economic sanctions that the United States has placed on Venezuela, which has made it very difficult for the government to finance the things it needs to fund. Because oil revenues have gotten very difficult to use and manipulate in the country because of the financial sanctions that the United States has placed, which are very harsh. And that has created a situation where the government either doesn’t pay salaries or prints money to pay salaries. And so, faced in that choice, they’ve tended to print the money. And therefore, that has further contributed towards hyperinflation. MARC STEINER: But what about the reaction of the countries around Venezuela and the ones adjacent to those countries, all of whom or many of whom are changing their laws? So, there used to be if you had an ID, a national ID, you could just walk into another country and that was it. But now they’re saying, “We’re demanding that you have passports,” which means only the upper class can have them who had them before because it’s harder to get passports now in Venezuela. So, what’s that political dynamic? GREG WILPERT: Yeah, that’s one of the issues that they’re certainly discussing now in Colombia and in Ecuador and in Peru, is require passports. And actually, Peru and Ecuador have an international treaty with Venezuela not to require passports for entry into those countries. Of course, they’re hoping that this will stem the flow of immigrants from Venezuela to their countries. But it’s a huge mistake. Studies have shown over and over again, every time you increase the barriers for entry, that just increases the number of illegal immigration into that country and creates basically an underclass which makes a bad situation even worse. Because then, people cannot find jobs, at least not legally, and they are more likely to turn to crime instead or to become totally underpaid because of their precarious situation. And therefore, you end up with a much larger class of people who are poor. And so, this is a real- it’s a measure that looks like a short term solution to their problem, which is to stem the flow of Venezuelans coming into the country. But it’s going to cause more problems. And of course, the other reason for why it’s going to cause more problems is that in Venezuela, one of the problems right now is getting your hands on a passport because passports require certain printing mechanisms, certain special paper. Those need to be imported, and because Venezuela is suffering, again, from these kinds of sanctions, the financial sanctions made it very difficult to provide all the materials for making the passports. So, there’s a massive backlog- of course, because of migration as well- a massive backlog in providing passports to Venezuelans. And so, that’s not going to force Venezuelans to get passports faster because that’s almost beyond their control at this point. MARC STEINER: So, I wonder- I was going to jump right into Brazil, but let me ask this question first. So, if those are the issues that are fueling this emigration from Venezuela into neighboring countries and if the sanctions are playing a deeper role, and you add to that Maduro’s mismanagement of the economy as well, so what does portend? I mean, for a long time Venezuela was at the heart of building this new alliance in South America. And now, we’re seeing something else happen. So, what does this portend? I’m just curious what you think. GREG WILPERT: Well, it really depends on how the government itself interprets this situation. Because on the one hand, if the government sees the migration as being something that is not that serious, and in other words, that then it doesn’t feel the pressure that this migration is actually causing the government itself in the sense that right now there’s been a tremendous brain drain from Venezuela, which of course is going to hamper the economy for decades to come if these people don’t come back. Now, the government has introduced various new economic measures last week that it hopes will stop the hyperinflation and will cause a reactivation of the economy. It’s too early to see whether it’s going to happen, but if it doesn’t take the problem seriously enough, it’s not going to be necessarily motivated to do more to stop that. So, that’s the real danger. So, the real question is, how is the government going to perceive the problem? And I mean, there’s- on the one hand, I see some government officials recognizing the problem. For example, late last week, the communications minister actually issued an appeal to Venezuelans who have left the country to come back again. And so, there’s clearly recognition that something’s going on, but there’s still a question as to whether the economic measures that have been introduced will go far enough. MARC STEINER: Most of the reports that I’ve read say that the vast majority of Venezuelans who are fleeing Venezuela, for whatever reason, want to go back. They’re not looking for permanent residence in Ecuador or in Brazil or in Colombia or anywhere else. GREG WILPERT: Yeah. I think that’s very important to keep in mind. There’s two things. Of course, Venezuela, first of all, has a tremendous number of Colombians living in their country. And many of them, that’s been a large part of the migration out of Venezuela, is Colombians basically returning to Colombia. Actually, the Colombian government itself issued a report where they did a survey and they calculated that something like two thirds of the people who had been arriving and staying in Colombia were actually originally from Colombia. And then, only five percent were talking about staying in Colombia for an extended period, that is of the others, of staying there for an extended period of time. And so, there’s definitely an intention of Venezuelans wanting to return when the economic conditions improve. And so, that’s why everything depends on what the economic conditions in Venezuela look like. MARC STEINER: So, why do you think that the response in Brazil was so much more violent than in other countries? Venezuelans were literally being attacked and burned out, or the refugees or whoever they are. GREG WILPERT: I mean, I think this is another major factor that not enough attention has been paid to, which is the kind of xenophobia that is floating around in the rest of Latin America towards Venezuelans. And I think in the case of Brazil, though, it’s a special situation because the border region between Venezuela and Brazil is a relatively remote part of Brazil. GREG WILPERT: Right. And so, there’s not much infrastructure, there’s not much capacity to really deal with this inflow of migration. And so, the local government and the local population has been put under a tremendous amount of pressure as long as those people aren’t relocated to someplace inside of Brazil. And so, there’s been also tension, not only with the Venezuelans between that population, but also towards the rest of the government, the central government in Brazil because they haven’t been doing enough to help them. MARC STEINER: So, just as here in the United States when we talk about the immigration from Mexico and Central America into the United States, the people don’t often understand the history of migration in our own country and how Mexico was- that most of the Western United States was Mexico, that the border meant very little until recently. People went back and forth. But there’s also some historical migration patterns in South America that are part of the story that are often left out. GREG WILPERT: Yeah, I think that’s also something very important to keep in mind. I mean, for decades, basically the entire twentieth century, Venezuela was actually a country that has accepted and was one of the only, if not the only, country for such an extended period of time to have accepted immigrants from other countries. MARC STEINER: This is before Chavez? GREG WILPERT: Well before, actually. I mean, of course Latin America in general has been a place of accepting migrants even from Europe, of course, before and shortly after the Second World War. But Venezuela for a much longer period after the Second World War, still all the way up until the 1970s, 80s and even into the 2000s during the Chavez period, accepted far more migrants than left the country. So, that’s something very important to keep in mind. So, this is kind of a historical first for Venezuela to have so many people leaving now. And the other factor to keep in mind is that Venezuela accepted somewhere between two and even some people say four million Colombians because they were displaced due to the civil war that we mentioned earlier. And so, Venezuela has always been very generous in that sense. And Chavez at one point even decided to practically nationalize all the Colombians who were living “illegally” in Venezuela. MARC STEINER: Nationalize means giving them citizenship? Is that what that means? GREG WILPERT: Exactly. And I should say naturalize. So, that’s why they’ve become Venezuelans now even though they originally had a Colombian passport. And so, in that sense it seems, especially to Venezuelans, a little bit unfair. The situation now that the tables are reversed, they’re facing such a difficult time, far more difficult time in the other countries than when they were accepting foreigners to Venezuela. MARC STEINER: So,the countries are calling for a conference in September. They’re calling for other meetings to take place now to deal with this. I’m curious where you think those will lead. I mean, there’s some friendly relations between some of those governments and Venezuela. There’s some tensions between others that are getting more and more intense. So, where does this lead us? And I think that, again, it’s important in light of what you seem to be saying, which is that the comparison between the emigration from Arab nations and Africa into Europe is not the same thing, which is how a lot of the press is kind of playing it. So, those two things fit in together. How does that play into these meetings that are about to take place? GREG WILPERT: Well, I mean I’m not sure exactly what those meetings can really decide. I mean, hopefully they will decide to make it easier for Venezuelans to live in those countries and to basically reciprocate what I was saying earlier about Venezuelan hospitality in previous decades. And so, everything will depend on, finally, what kind of a decision do they reach? Now, and of course they could go in the other direction, which has been the tendency until now, which is such as requiring passports. And another step further would be to actually require visas. And I mean, I doubt that it’s going to go that far at this moment. But certainly, the passport situation is already a major complication for Venezuelans, and like I said, also for the economies of these countries. Because they’re going to create this underclass. But it’s very difficult to say which way it’s going to go. My guess, though, is given that most of the governments in the region are right wing at this point, they’re going to do everything that they can to increase or make life difficult, basically, for Venezuela. And that means, unfortunately, to also thereby punish the Venezuelans who’ve immigrated to their countries, I think, they’re not going to make it easy for them. Although, who knows? You could just as well argue that by making it easier, that Venezuelans are going to lose more population and therefore that’s going to be more difficult for Venezuela as well. But I doubt they’re going to think that way and they’re going to make it more difficult, unfortunately. MARC STEINER: We’ll cover this a great deal more. This has been great conversation. I’ve learned a lot, I know our viewers have as well. So, Greg Wilpert, you so much. Good to have you with us. MARC STEINER: And for The Real News Network, I’m Marc Steiner. Thanks for joining us, take care.